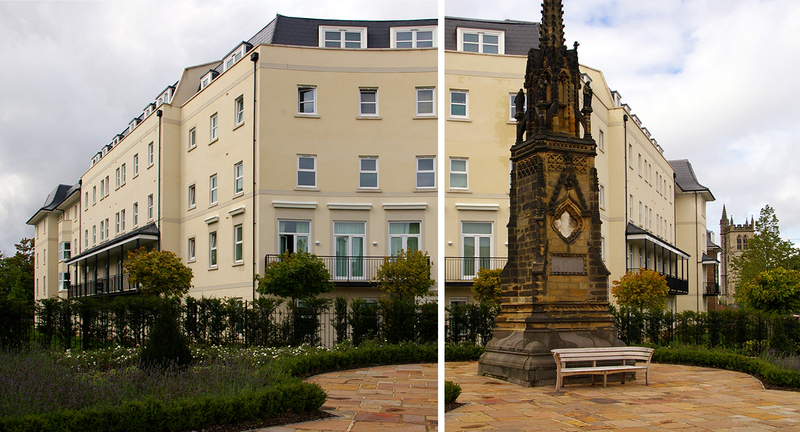 The development of 180 residential units in clusters of buildings, planned out to define the two site frontages and a series of internal landscaped courtyards, made good use of a highly visible corner site dominated by a listed monument. 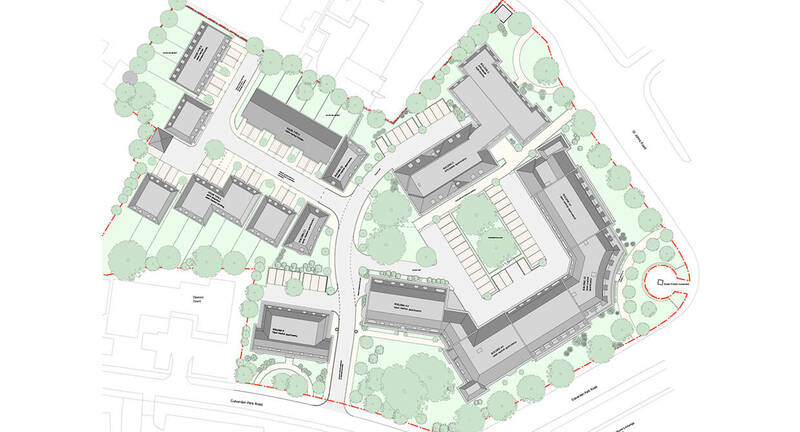 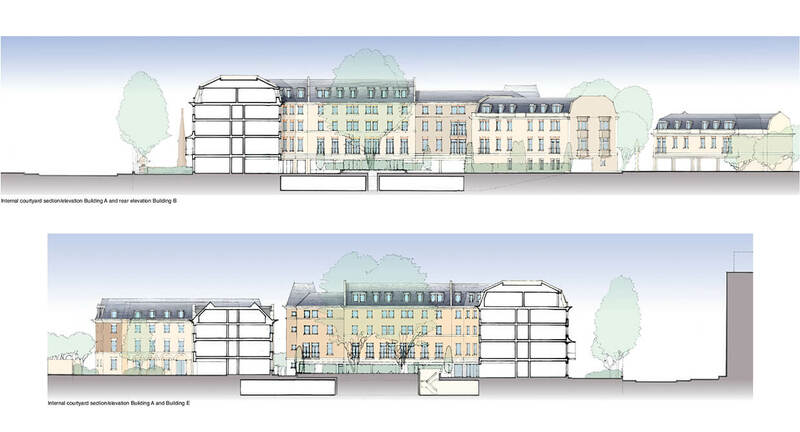 Located on the approach road to the town centre the mixed tenure scheme of open market and affordable units strategically placed 4-5 storey apartment buildings to offer enclosure to the inner site area allowing houses and apartments to lesser scale to be planned into the depth of the site. 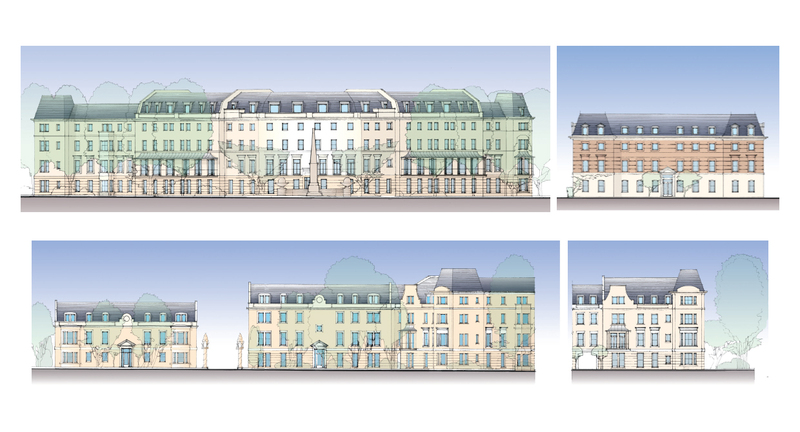 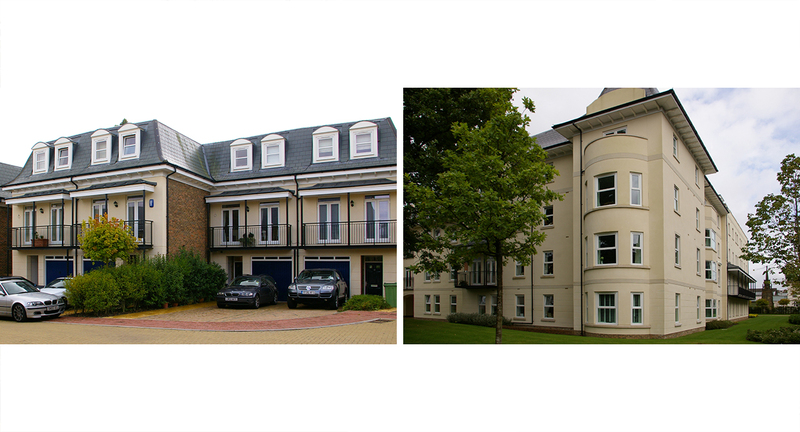 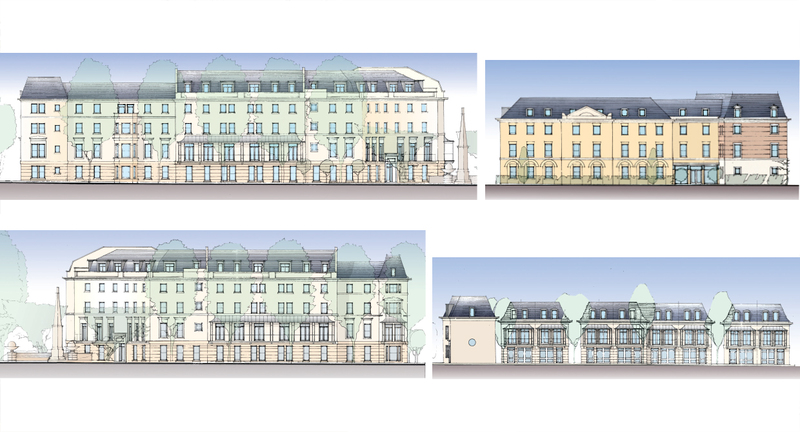 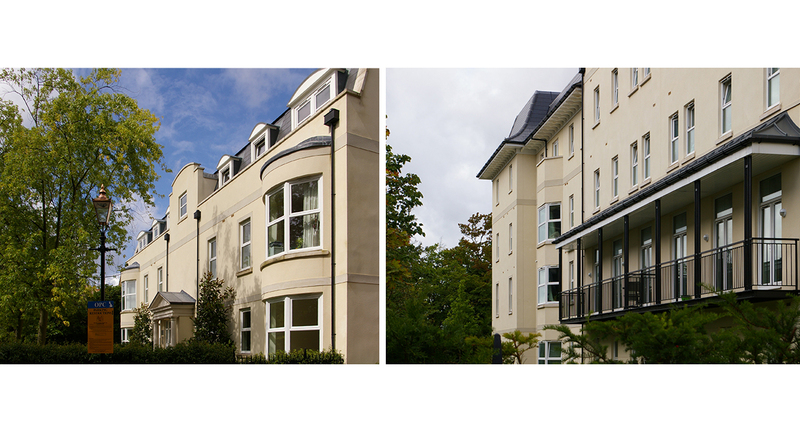 Design parameters were informed by townscape studies and traditional architectural form drawn from the historical pattern of development of Tunbridge wells. 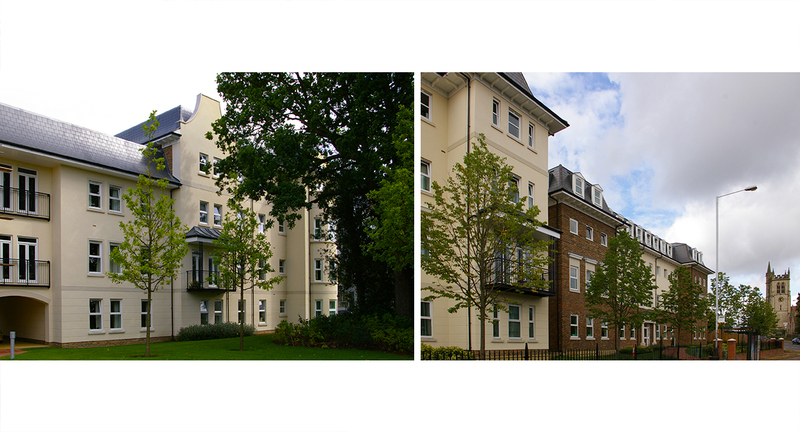 Extensive underground car parking allowed integration at street level of asite-wide hard and soft landscaping that contributed to the environmental credentials of the site. 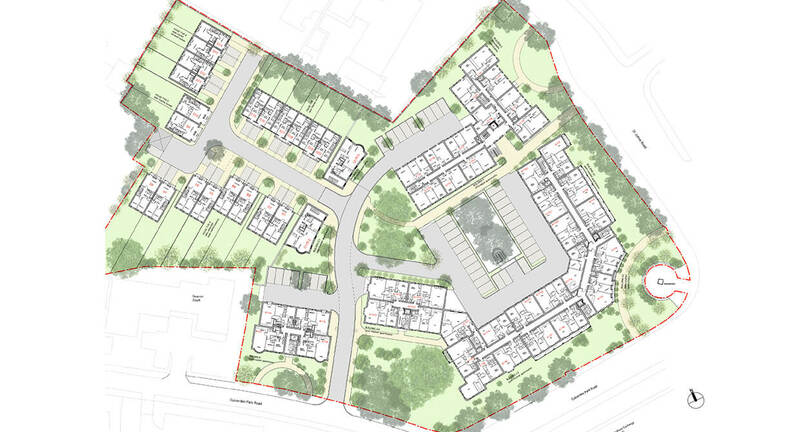 The masterplan pattern of open spaces and integration of built form createda network of interlinked access roads with pedestrian and cycle pathways adding to the legibility of the new development.